https://wjccschools.org/hms/wp-content/uploads/sites/6/2014/05/logo.png 0 0 Jessica Ellison https://wjccschools.org/hms/wp-content/uploads/sites/6/2014/05/logo.png Jessica Ellison2017-03-13 05:37:022017-03-13 05:37:02March Dance Info. On Saturday, March 18, 2017 from 11am – 4:30pm, Project Phoenix will be hosting College Day 2017. College Day is an annual program that allows Williamsburg-James City County and other local middle school students the opportunity to explore the college experience and develop a better understanding of the value of higher education. Additionally, parents are invited, and are strongly encouraged to attend the event to discover ways they can best support their middle school student. Please download the application by clicking on this link 2017collegedaypermissionform_propho and return them to Anna Thomas (Student Advancement Coach) as soon as possible- space is limited! 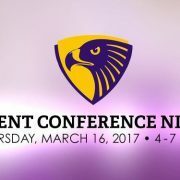 Lois Hornsby Middle School Parent Conference Night – March 16, 2017 4-7 p.m.
Our school will hold a Parent Conference Night on March 16th. Conferences will be 12-minute appointments held between 4 and 7 p.m.
Our teachers have posted information and documents on ParentVue and StudentVue. 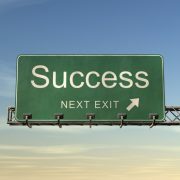 Those posts and your child’s interim report should provide you with a basis to determine if you would like to schedule a teacher conference. Parents will be able to schedule conferences with individual teachers beginning March 9th, and, if a parent is unable to schedule a conference with a specific teacher, that teacher will reach out to the parent to address any concerns and answer any questions. Teachers also may request conference appointments with the families of specific students. 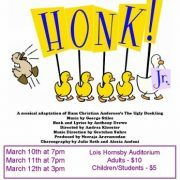 Join us for Honk, our spring musical! HMS students are amazingly talented! https://wjccschools.org/hms/wp-content/uploads/sites/6/2017/03/Honk-Jr-Poster-jpg-348x450.jpg 450 348 Jessica Ellison https://wjccschools.org/hms/wp-content/uploads/sites/6/2014/05/logo.png Jessica Ellison2017-03-02 15:08:192017-03-12 14:48:26Join us for Honk, our spring musical! HMS students are amazingly talented!